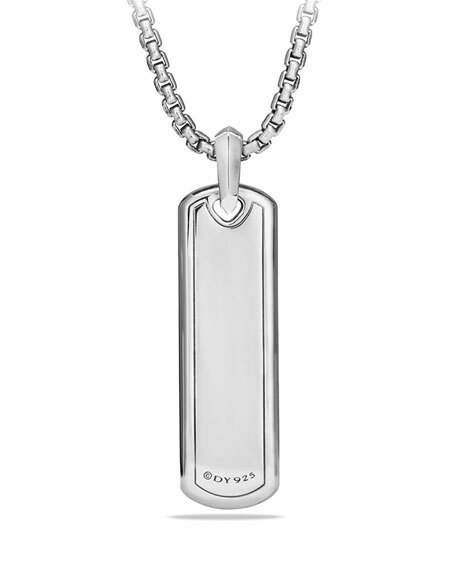 David Yurman dog tag in sterling silver, from the Graphic Cable Collection. Cable black onyx cabochon inlay. Tag, 1.9"L x 0.5"W (47mm x 12mm). 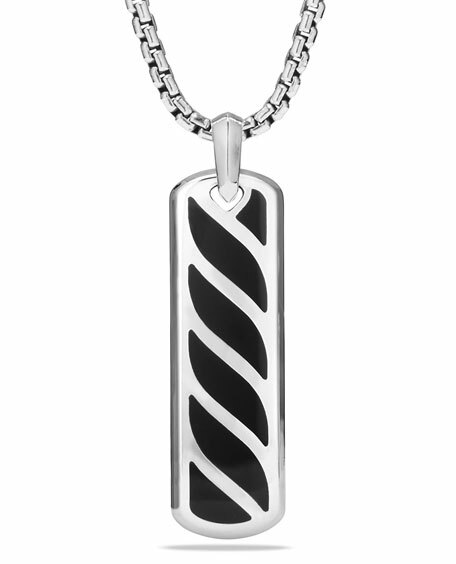 Men's exotic stone tag by David Yurman. Oxidized and polished sterling silver. Black onyx front; carved back. Approx. 1.4"L x 0.7"W (35x18mm). Chain sold separately. Imported. Please note: Tag only; chain sold separately. 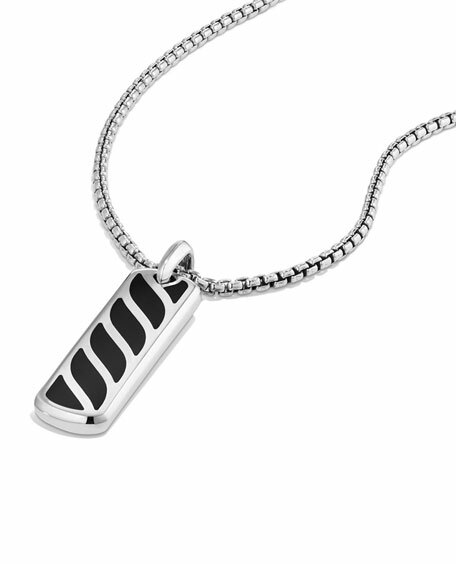 David Yurman men's tag from the Exotic Stone Collection. Signature sterling silver with pavé black diamonds. 2.70 total black diamond carat weight. Chain sold separately. Approx. 34 x 19mm. Please Note: Tag only; chain sold separately. David Yurman tag from the Pavé Collection. Black titanium and sterling silver. Pavé black diamonds, 2.68 total carat weight. Tag, 1.4"H x 0.7"W (35 x 19mm). Please note: Tag only; chain sold separately.